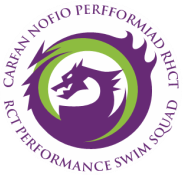 What will I need when attending a swimming gala with RCT Performance Swim Squad? To help you when packing for a swimming gala we have put together a swimming gala check list. Please check that you have packed the following kit for all swimming gala’s. Make sure you pack your own bag. You’re the athlete (not your mum or dad) and you need to be sure you have everything you need with you and know where it is. There is NO substitute for sleep and you need it before competition. The night before eat a big bowl of pasta, rice or potatoes, relax and then head for bed…early! ​What’s the point in training hard for months and then exhausting your body the night before? RCTPSS Logo Swim Cap - Make sure that you have a couple of swim caps. Swim Suit - Pack your favourite swimwear plus a spare just in case you need them. Tracksuit - Please wear your RCT Performance Swim Squad tracksuit. Towels - It's a good idea to have two towels so that you can sit on one when poolside and have a dry one to get dressed. Drinks - It's important to have a good supply of drinks (water with glucose or fruit juice) that will last you the day. Remember what you eat pre-race will affect your performance. You should NOT change your eating habits drastically on the day you have a gala. ​Try and eat a moderate-sized meal at least 2 1/2 to 3 hours before competing, if you are in a morning session, eat something which is light on the stomach and that you enjoy (porridge, lots of jam/honey toast, cereal and juices). Do not eat anything large during the gala sessions, and especially in between heats except sugary sweets like boiled sweets. Keep well hydrated by taking little sips of your drink, this stops you from feeling bloated. Save money and make your own brand energy drink: bit of fruit juice, lots of water, pinch of sugar, pinch of salt. It will be just as good as or better than the bottles of energy drink you can buy. Once you are out of the water after a race, remember you can’t go back, that race is done and is now history – review with the coach in the squad area, take any advice and move on. You now need to prepare your body for the next race; have a drink, refuel with a sweet, fruit, dates and apricots – remember all low volume but high sugar. This is very important because for a short time (10-20 mins) after a high-intensity activity like a race our bodies use any sugar we take and sends it not to our stomach but direct to our muscles ready for more activity. Keep your body warm by putting on your tee-bag and keep flexing and stretching. Stretching will help you swim faster! This is because it causes the fibres in the muscle to lengthen. Longer muscle-fibres generate more contraction strength than shorter fibres. Don’t over-stretch and cause yourself an injury but they should be flexed. During any exercise your muscles produce lactic acid that causes the muscles-fibres to shorten and reduce strength. This is what we feel as fatigue develops and our muscles begin to ‘tighten up’. If you begin swimming with well-stretched longer muscle-fibres, you will be stronger for longer as the lactate builds up. This will help you attack the race. Your Coach will advise on the sets to complete in the Pool during warm up. Remember you are part of a Squad, so support your team-mates and think positive. Warm up again, gently run on the spot or jump to get your heart working faster ready for the work it is about to do. If you don't you may find your body is just getting up to racing speed at about the time you finish the race! When going to the marshalling-area put your goggles on your head or push them down around your neck. If you are carrying them it is possible that you will put them down or get in a panic at the last minute. It will also stop you chewing and biting them – goggles always snap in the marshalling area never in the squad area – strange that? Have your swim-cap on in plenty of time. Once in marshalling, keep stretching and inhaling and try and focus on what you are about to do. Stay positive, keep your sense of humour and have fun! Every gala is an opportunity to improve. Watch and learn. Look at the fastest swimmers and also look for what you think are the ‘best’ swimmers in the water and see what they do. Watch what they do out of the water as well, how they prepare to swim, how they warm up, and their levels of concentration and focus prior to swimming. When you swim find out your times, remember your PB’s, and look for ways to improve everything you do. This is why you put all that effort into your training. All RCT Performance Swim Squad staff and supporters wish you good luck!